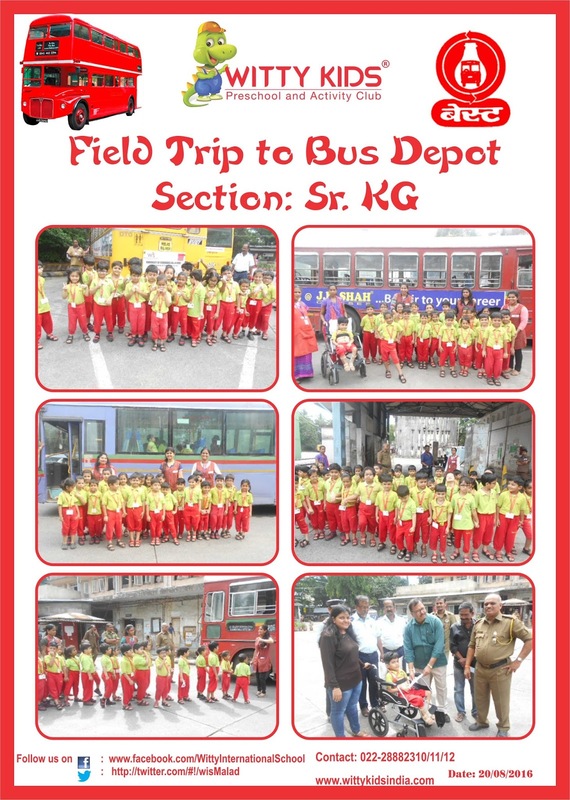 A field visit was organized for Senior KG students on 20th August 2016, Saturday to the Bus Depot. The purpose of the visit was to acquaint the students with the transport facility used by most of the people in our country. It helped the pupils to get hands-on experience to observe how people travel. They also observed the ticket counter, the timetable and different routes through which the buses operate. The conductor of the bus gave dummy tickets to the children and they were explained the importance of always travelling with a ticket. 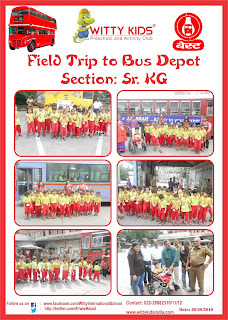 Children learned the significance of symbols drawn in the bus, for seats reserved for senior citizens, handicapped people and ladies. The real fun however, began when children were taken for a short ride in the bus and were shown how a bus was being washed in the depot. Children also saw how the bus is repaired and how the fuel is filled in the bus. Overall, it was a fun learning experience for the little ones! !